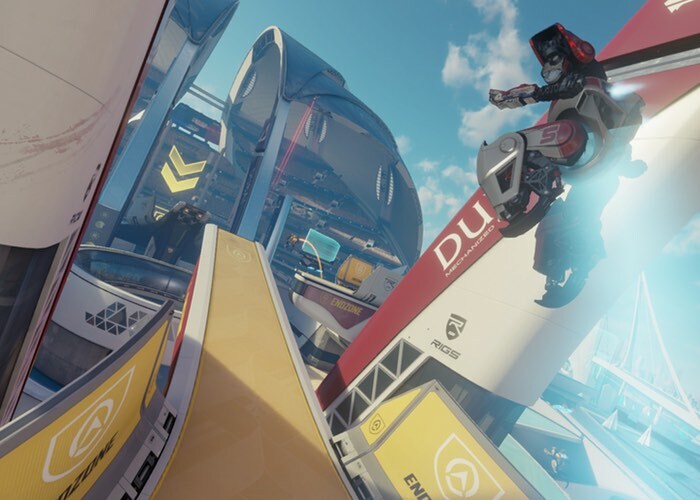 Jeroen Roding from games developer Guerrilla has taken to the official PlayStation blog this week to reveal more details about a latest class added to the RIGS Mechanized Combat League game. Check out the video below which introduces the Sentinel Class to the game, taking position as the fourth rig to be added to RIGS Mechanized Combat, and standing 6m tall, with a top speed of 49mph and a maximum melee damage of 4,000. -Jump: Slam — charge to gain extra height. A fully charged jump will cause a slam effect on landing, damaging, and disorientating opponents. -Jump: Basic — Equipped with basic jump ability. -Jump: Double Jump — Once in mid-air, the Mirage can boost jump a second time. -Jump: Vertical Take Off — Hold to boost up into air and hover.